If you’ve evaluated your drinking and have decided that you might have a problem with alcohol, then it’s worth taking the next step to investigate what you can do about it. You might still have mixed feelings about whether or not you have a problem; this is a completely normal way to feel and does not mean that you shouldn’t seek treatment. Doctors, counselors, and others who help people with alcohol problems will address these feelings and will work with you to develop a plan that meets your specific needs. 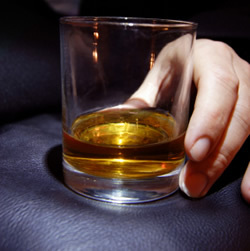 Alcohol treatment has become notorious in popular culture due to numerous onscreen portrayals of Alcoholics Anonymous (AA) meetings. Deciding to seek treatment, however, does not necessarily mean enrolling in AA or a group with a similar format, but rather enlisting appropriate help to evaluate your problem professionally and work with you to determine the best course of treatment. This treatment can take many other forms besides group meetings. The best place to start getting help depends on what makes you feel the most comfortable. Talking to a trusted, nonjudgmental friend or family member about your thoughts might be a good place to start if you’re looking to enlist support. This conversation would be a good way to practice talking about it and will give you a chance to organize your thoughts and feelings about the issue in a coherent way. Depending on which type of support you want, this friend could accompany you to the initial doctor’s appointment or could sit with you while you call a hotline. Make sure that it’s not someone who’s going to be critical or tell you what to do; this person should be someone who is going to support you in making your own decisions. Also make sure that this is someone who will keep the information confidential; you might not be comfortable with everyone knowing about the situation at once. After talking to the family member or friend, your next stop should be to see your health care provider. Alcohol can cause serious problems. If you don’t feel comfortable talking to anyone in your personal life about the situation, you can start directly with your health care provider. He or she will probably ask you some questions about your drinking and then will perform a physical exam to determine if you’re physically dependent on alcohol. Cutting back or stopping drinking should be done under the supervision of a medical provider due to the fact that if you’re physically dependent on alcohol, you may have withdrawal symptoms when you stop drinking and your medical provider can work with you to manage these effects. Your health care provider might refer you to someone who has a speciality in alcohol treatment; this way, the specialist can devote entire visits with you to ensure that you’re on a safe plan or in a safe environment to cut back or stop drinking. Your health care provider may also recommend that you see a mental health counselor or psychologist for help with cutting back or stopping drinking. Not only will a mental health professional provide continued support to you, they will also help you to understand what triggers your drinking or what issues caused you to start drinking in the first place. Understanding the condition and understanding how to manage emotions surrounding the condition are critical processes for recovery. If you’ve been drinking to ease stress or worry, then a mental health professional can help you to find ways to coping that won’t harm you physically, mentally, socially, or emotionally. If you meet certain criteria, then residential treatment might also be something that your medical provider might discuss with you. Residential treatment allows for intensive, 24-hour monitoring of your condition and round-the-clock help as well. Group therapy, treatment with medication, and individual therapy may all be pieces of residential treatment. Depending on your specific situation, your stay in a residential facility could be anywhere from a few weeks to a few months; according to the Recovery Connection, the average length of stay for someone with private insurance is 20 days.